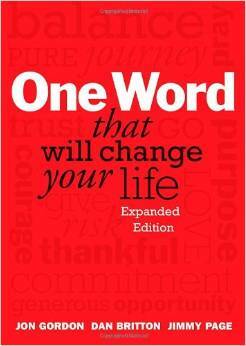 I remember hearing about "one word" last year (maybe?) and this post is a great reminder. Definitely something I'm going to consider for 2016. Thanks! Good luck to you, Margo! Take care! Margo--I am confident you will emerge from this phase stronger and fiercer. There's an ebb and flow to writing. Sometimes the tide is high and other times it's low. Be a bit forgiving and flexible with yourself. Margo, I think of you often as I kind of figured something major was going on in your life. I picked a word this year and it is Simplicity. I really want to simplify my life and make more room for doing things that bring me joy. My word last year was Believe as in believe in your abilities. It was the perfect word for the time. Slowly you will heal and find your voice. Will it be the same voice you had before? Probably not, you will probably have the courage to venture into new avenues and find new strengths. I wish for you, peace, great writing and much joy. I'm going to rebel against the "one" word with one phrase that has been an immense help for many decades: "This is interesting." It's a great way to make your brain step back, even slightly, from the downward spiral of a lot of negative self-talk, whatever the situation might be. 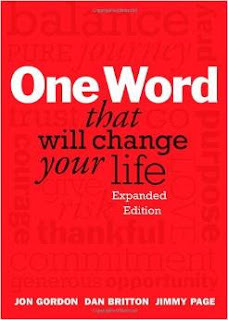 "This is interesting" allows you to take a more "observer"-type position on your own situation and - with effort and practice - rework pessimistic language to more optimistic, and then benefit from that change in language. Your writing and words have been a great support to me over the years, and I wish you well in this coming year! I don't have a word, either, Margo, but I do have a mantra: Comparison is the thief of joy. It's good any 'ol time, not just the beginning of a year, and it's helped me find the joy in a very long and winding writing path (and through difficult upheavals, too). You'll find joy again, Margo, even if it's just the joy of finally cleaning a bathroom! :-) In the meantime, my 2016 wish for you is that you give yourself the same care you'd give to a best friend going through a difficult time. You are loved, friend! Oh, Margo. What an inspiration you are. You are so courageous to write so candidly. I love the idea of focusing in one word for the year. I wish you health, happiness, joy, and organization in 2016. Wonderful post, Margo. And you're on an upward swing! And I do like your 'one word' goal in place of a list of goals. Mine are mostly repeats every year, which gets me started.... But I'm giving the 'one word' angle a try. I'm with you on Organization! Regarding resolutions, I like this approach you've offered. One of the wisest suggestions I've received in regards to goals was from creativity coach Marney Makridakis; she told me that instead of trying to narrow in on a goal, to step back and look more broadly--this offers more freedom and choices. It points a direction without being constrictive. I empathize with your feeling out of sorts and unproductive right now. I also have had a series of windfalls and, while my friends have gone on to publish books, I've struggled with maintaining my own productivity and creative juices. When the world changes so drastically, the heart and soul need time to adjust. My phrase has been "compassion for self." Margo, things will get better, just be patient and ride it out. I've been there years ago with two very young children. I don't have a single word, but I do have a few sentences I read every morning of what I want my life and my family's life to be. Projection is important and can be powerful. You might create a vision board of what you want your life to be. Keep it visible so you can see it every morning and night. Margo, I hate to hear you're going through this but know you are an awesome mom and writer/editor! I have no doubt you will come out much stronger and braver because of it.I wish you much organization and rest and relaxation in 2016! Sorry to be so late telling you all how much I appreciate all of this support and these kind words. I really think this one word thing will work for me. :) I will not be organized every day of course, but I have a whole year. It just helps me stay focused on my day. And my friends are adopting one word (s) of their own. I hope each of you has a great 2016 yourselves! Here's to health, happiness, and success! You will be amazed at how much you have accomplished when you look back on these days. My words are challenge yourself. I have become complacent seeking the sure thing. I am stepping out in faith and confidence in 2016.